Based Designed for Internal and Topical Uses. Products Based on Nationwide Insurance Top 10 Reasons for Veterinarian Visits. Keys has been producing para-pharmaceutical cross-over products for dogs and people since 2005. Keys was a founding member of the Environmental Working Group (EWG) Pets for the Environment. Keys Products are among the safest on the EWG.org Skin Deep database. Koda expands the Keys product line into the dog therapy and wellness market as a dedicated pet product line. Five Internal products include a Lactobacillus probiotic-probiome, a natural calmative supplement, a trace mineral supplement, a vegan replacement for fish oil and a natural Cox-2 joint supplement. Five Topical products include, a natural healing spray, a natural insect repellent, a naturally medicated shampoo, a spot cleanser for paws and a pro-shine shampoo developed as a natural alternative to dog show methods. All products are chemical-free, vegan, gluten-free, non-GMO and made from whole ingredients using functional medicine guidelines. We have a 130,000 sq ft factory in Baltimore, MD and a 50,000 sq ft facility in Eugene Oregon that are ISO9000, cGMP, FDA inspected and organic certified. Products are sold through natural markets, natural pet stores, holistic practitioners and Veterinarians. There is always a great story behind how a great product comes to be. aka, the there there! KODA seeks to extend dogs life, quality of life and vitality through natural wellness products. We work in concert with Veterinarian courses of action to help build the dog’s wellness recovery. “KODA is a new brand for our established Keys product line. We have been making natural topical therapies for people and their pets for over 8 years. Our Ariane®, Miras® extracts, Neem and Karanja oil based topical products also include therapeutic and essential oils known for their topical and internal applications. For Jasper, it was a combination of natural extracts to build his immune system, plant essences to calm him and probiotics to help his digestive system to recover as quickly as possible. Jasper’s illness at the ripe age of 15-months old was more than a spark, it was the reason for our efforts to be focused to the present and the need for these products now!” said Bob Root, KODA Chief Scientist. We originally developed a line of special therapy topical products for the search and rescue dogs and their handlers returning from Hurricane Katrina. The dogs returned with rashes, sores and open lesions form all the chemicals, poisons and toxins that were in the stagnant water. We formulated soaps, sprays and lotions that were all-natural and quickly healed their disorders. These same proven topical products offer pets an outside protection while our new products work internally to help the majority of reasons for vet visits. Veterinarian medicine is much more advanced than ever before. The courses and actions to help pets recover from disease are very specific. It is rare, but a growing movement where a wellness regime accompanies the course of action they prescribe. Our place in these procedures is to provide the balance by offering wellness additions to speed recovery. According to Nationwide Insurance Pet division, the top 10 reason for Vet visits are below in order of priority. This was the beginning benchmark we used to build out our initial product line. As you can see, our products mirror the dominant two areas of gastric and topical disorders. We use human grade pharmaceutical natural ingredients in therapeutic proportions to affect quick results. Our products are chemical-free, natural, gluten-free and vegan. Although these are animal products, we do not test ingredient safety on innocent animals. We half-joking and half very serious say that we test KODA products on ourselves first. Our engineers research ingredients, obtain the best in the world and then build our products so that they are safe for humans. Then we consult with clinical universities teaching schools of veterinarian medicine for interactions with prescription drugs. Then we consult with holistic animal practitioners and naturopaths as well as vets that study eastern medicine. Only then does a product for pets come into existence. There are no sulfates, glycols, parabens, phosphates or any of the infamous “Dirty 30” chemicals in our products. Our pet products follow the guidelines of the Environmental Working Group human safety ingredient guidelines, FDA pharmaceutical guidelines and those of the USDA. We are serious that every product we produce is focused on results and not at the cost of long or short-term safety. Every KODA product has a Therapy Facts panel on the label. This panel resembles the FDA drug facts panel that we are required to list all the ingredients for our Keys human products. All ingredients in the product are listed with percentages of active ingredients spelled out with their actions and content. This is a sample of the Therapy Facts panel from the label of our OmniShield product. Our plans do not stop at topical or internal treatments. We have found that some pet accessories are very dangerous for the well-being of pets. For example, we tested collars made of nylon braid and found 1,4 dioxane. Pet bowls are sometime treated with Triclosan, which is a bactericide. When it gets into the pets gut, it kills the good flora that is needed for digestion. The list goes on, so we will also search out, design and make products that are pet-focused that do no harm to the pet in a continued effort for life extension. Knowledge is king. We have created a sister website called KODA Karma which is a blog site focused on education, knowledge and information to help people make good decisions for their pets. Another facet of KODA is sophisticated customer service software that will get direct help via a prioritized ticket system with escalation provisions that provide helpful answers to consumers trying to help their pets. This system also provides an automated knowledgebase that learns from questions and answers that have come before. When a consumer begins to type their question to our online customer service, possible solutions and answers will popup offering them instant information. This software was originally designed for high tech customer service and adapted for KODA. KODA will sell direct to consumers via an online web store as well as selling to dealers/resellers. Current Keys resellers will also have the opportunity to purchase KODA products. Here are the products we will initially introduce in August of 2012 and at the SuperZoo tradeshow in Las Vegas in September. (KODA booth is 3204) Some of the KODA products include: All products are chemical-free, gluten-free, vegan and do not contain any of the “Dirty Dozen” chemicals. (No sulfates, glycols or parabens!). Below is an abbreviated description of each product. There is a link to a full description of each product that can be clicked through to learn more. For more information, images and links, please use the Click Here links for each product below. OmegaLife is a vegan alternative to fermented cod liver oil and salmon oil. It is for dogs that react to the taste of fish oil. It provides the addition of saturated fat fruit and vegetable oils that include, virgin organic avocado oil, cold pressed black seed oil, extra virgin olive oil, sesame oil, grape seed oil and Ariane extract. For more information, Click Here For a press quality image Click Here. LifeTrace76 is a mineral supplement to be added to the dog’s water. Filtered, RO (reverse osmosis) and distilled water strip needed minerals along with the harmful pathogens. LifeTrace76 adds back in all 76 minerals needed for healthy bodily functions and is very low in sodium and potassium. Just a few drops in the dogs water provides all the core necessary minerals for a healthy life. For more information, Click Here For a press quality image Click Here. ProBiome4 is a Lactobacilli sporogenes which is a lactic acid producing Bacillus preparation. To over simplify, it is a probiotic with exceptional properties. Lactobacilli through their metabolic processes prevent the growth of putrefactive organisms by competitive inhibition, the generation of a non-conducive acidic environment and the production of bacteriocins. They improve the digestibility of ingested food constituents and the bioavailability of nutrients, possess hypocholesterolemic activity and enhance the immune response. For more information, Click Here For a press quality image Click Here. ProCalm is a relaxing elixir developed for higher stressed and easily agitated dogs. It uses a combination of Magnolia extract which is 90% honokiol and magnolo and virgin organic avocado oil as a natural herbal relaxer. Add to food to reduce agitation and to help dogs remain sleeping through the night. For more information, Click Here For a press quality image Click Here. ProFlexiol is a multifaceted joint compound for dogs of all ages whose joint stress comes from both external and internal forces. It is a Cox-2 enzyme inhibitor with ingredients including Glucosamine HCL (not sulfate) and Collagen. For more information, Click Here For a press quality image Click Here. OmniCare is a naturopathic therapeutic spray designed to heal skin irritations, insect bites, cuts, scrapes and hot spots. It is a combination of botanical, herb and spice extract that are brewed and then distilled. These are combined with pharmaceutical grade oils known for their healing properties. For more information, Click Here For a press quality image Click Here. OmniShield is an intense therapeutic naturopathic insect repellant spray that uses OmniCare as its base adding high levels of Neem and Karanja oil, peppermint, red thyme and lemongrass to repel over 200 flying and crawling insects including fleas, ticks, flies, mosquitoes and lice. For more information, Click Here For a press quality image Click Here. OmniClean is a natural Castile like therapeutic foaming soap used for dogs with skin irritations, insect problems and to heal disorders. We add Neem and Karanja oil to the soap for their ayurvedic medicine healing and insect repellant properties. For more information, Click Here For a press quality image Click Here. ProShine is a foaming shampoo-conditioner that is made using a 500 year old Welsh recipe that is brewed. The shampoo deep cleans and has a slightly acidic pH. To that, we add essential oils to condition the skin and hair. It has anti-allergy properties to reduce skin itching and hot spots. For more information, Click Here For a press quality image Click Here. SpotClean Paw & Face Foaming Cleanser is a brewed wash with botanicals and herbs for quick cleaning of the paws and face as an interim cleanser between baths. Removes road dirt and allergens as well many chemicals used on public parks and lawns. For more information, Click Here For a press quality image Click Here. KODA is a spin-off from Keys Care. Keys has been producing cross-over human and pet products since 2005 in a state-of-the-art cGMP, ISO900 and FDA inspected 130,000 sq ft dedicated facility. KODA products are produced in a dedicate 50,000 sq ft certified organic facility in Eugene Oregon. The KODA facility is a natural and herbal extract manufacturing facility that also produces the finished product as well as developing some of the core ingredients. Both Keys and Koda are subsidiaries of Orion Learning International Inc., which is a privately traded public C-Corporation based in Cheyenne Wyoming. 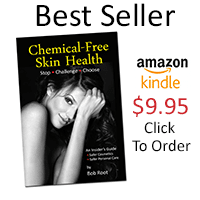 Bob Root Bio: Bob Root is the author of Chemical-Free Skin Health® now in its fourth printing. He is writing a new book titled, “Chemical-Free Dog” slated for publishing in the winter of 2012. Bob is the chief scientist and formulator for the “Keys for Dogs” KODA pet products line, being introduced now. Bob is a former High Tech CEO from Silicon Valley (San Jose, California). After his wife and Keys co-founder, Wendy Steele, a former Coca Cola Vice President, was struck with Melanoma, Bob began to research and study skin conditions, not as a chemist, but as a concerned engineer and scientist. Later when the prescriptions for creams and sunscreens made Wendy’s skin worse, he began to develop products for her that was chemical-free and therapeutic. When Wendy exhibited what looked like eczema, adult acne, rosacea and psoriasis, he turned to his engineering background to look for ancient remedies using modern technologies to improve on these tried and true natural medicines. These remedies became the foundation of what is today, Keys Care, Inc.
Bob is the Chief technology Officer for Keys Care Inc. He holds numerous patents associated with his work in high technology. His background is mechanical engineering and quantum physics with most studies in the area of nano-machines and nanotechnology. He is responsible for the design, development and manufacturing of Keys and KODA products. Keys develop and manufacture natural skin medicines that are chemical-free, vegan, gluten-free and therapeutic for people. KODA is “Keys for Pets” offering both topical and naturopathic remedies and elixirs. Keys & KODA products follow an algorithm of pharmaceutical grade natural ingredients in therapeutic proportions. These are ancient remedies employing modern process technologies. Keys products carry the safest product ratings listed on the EWG Skin Deep Report. Keys Solar Rx sunblock was ranked the most effective by Consumer reports Magazine (July 2007). Bob is affiliated with The University of Maryland School of Medicine, Ohio State University, San Diego State University and Los Alamos National Labs. He is a member of the Safe Cosmetics Campaign and Keys is a SafeCosmetics.org compact signer. He is a founding member of Pets for the Environment. Bob is also affiliated with the Natural Products Manufacturers Association and a member of numerous industry associations. He is the author of the book, “Defining Moments,” Chemical-Free Skin Health® and is in the process of writing a new dog health book with the working title of “Chemical-Free Dog.” Bob has spoken at The Natural Products Expo trade shows, The Environmental Working Group, Cambridge Nano-Pharmacology Conference and many local events.